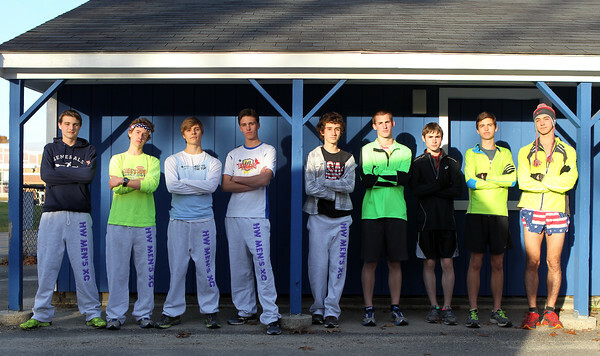 From left: Hamilton Wenham junior Chip Cring, senior Sam Erhard, senior Nate Shepard, sophomore Griffin Marshall, sophomore Daniel Allara, senior Jack Blatchford, sophomore Mark Baumeister, sophomore Jack Gourdeau, and senior Michael Allara, led the Generals to a win in the D5 state meet last weekend and will look to improve on their showing at the All-State meet at Franklin Park in Boston this weekend. DAVID LE/Staff photo. 11/13/14.